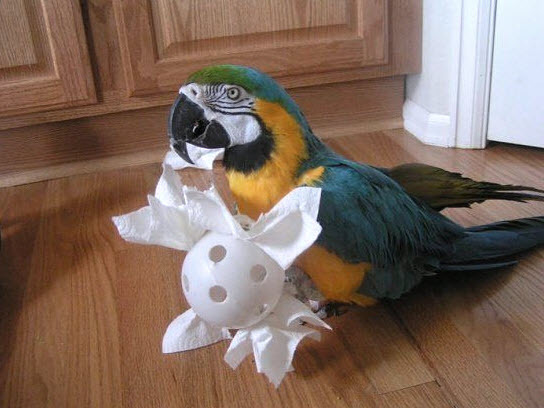 Turn a Wiffle ball into a foraging toy for your bird! Tear a large paper towel into quarters or a tissue in half. Put several small treats on the center of each piece of tissue, then wrap the tissue around the treats. Stick the wrapped treats through the holes of a large Wiffle ball, leaving the ends of the tissue sticking out. Put the toy on the floor for your bird to remove the tissues to get the treats.